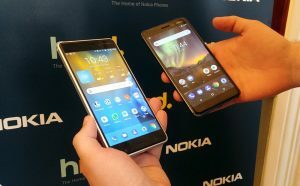 Nokia Mobile, or HMD Global, held an event in Vienna specifically for Central and Eastern Europe region where some of the most important markets for Nokia are situated. 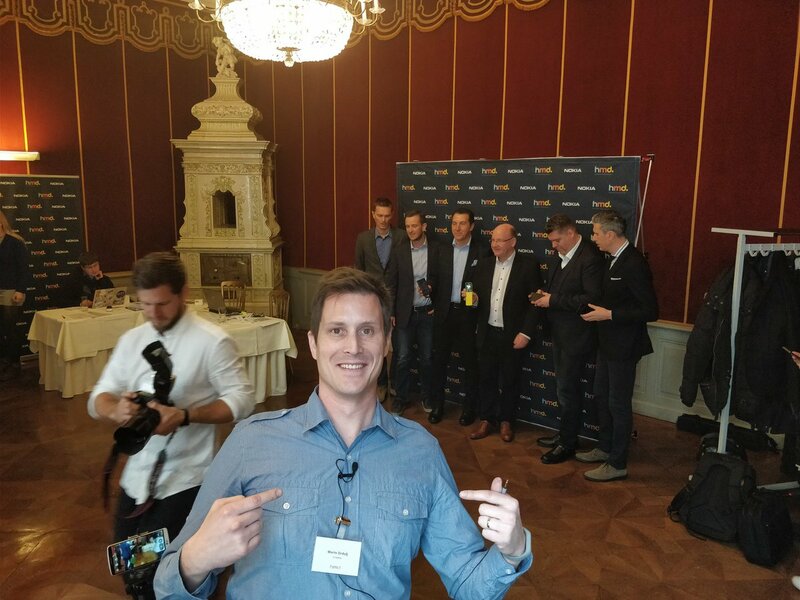 Before I continue, I must say big thank you to HMD that flied Stipan and me to Vienna and gave us an opportunity to play with devices and to interview CEO Florian Seiche and Vice President of HMD Alberto Matrone. 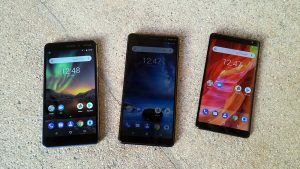 The day before the event we spent a lot of time with HMD guys which are bursting with energy, even though they still didn’t get a chance to recuperate from MWC2018, where all the new phones were launched. 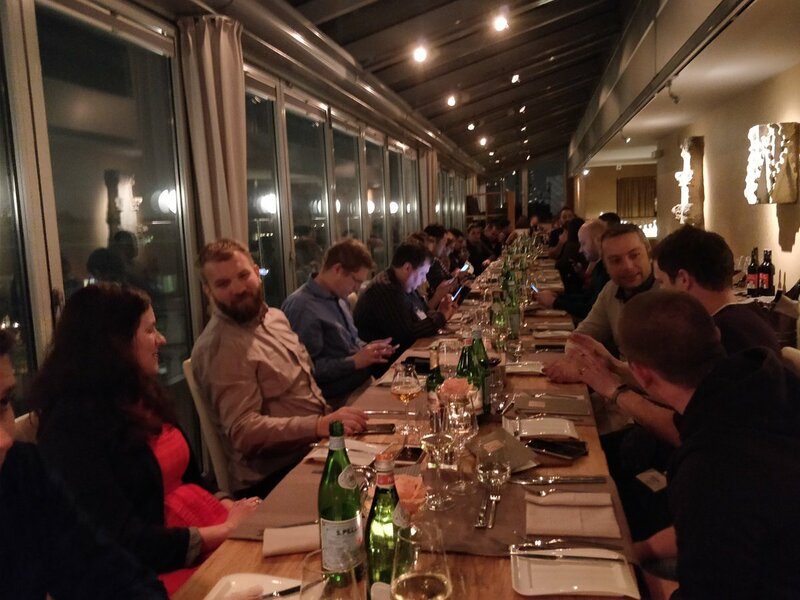 HMD took us all over the Vienna, showed us how beautiful the city is and organized a dinner where we chatted with colleagues from other blogs, portals and TV stations. 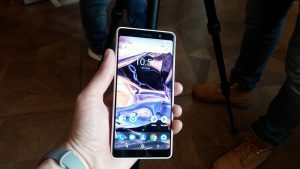 There we played with Nokia 8 Sirocco and I must say that my first impressions of the device are highly positive. Let me present to you more closely the whole lineup. 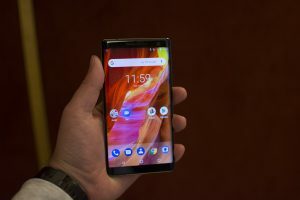 We are now aware that Nokia 8 Sirocco was probably Nokia 9, but the idea to save that number for the real flagship model and refer to it as an improvement of the Nokia 8 is a good approach. 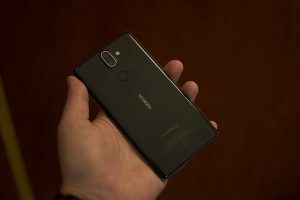 This phone is a premium version of the original Nokia 8 and it is not slippery at all. 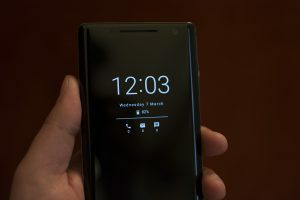 I actually like the sharp edges of the device since it helps you hold it securely and build quality is really superb. Its camera is capable enough to fight the competition, but the real tests will be done when Sirocco with final software arrives. 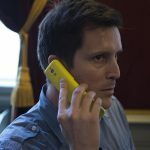 The phone will cost €749 before taxes applied and we should expect it in April. 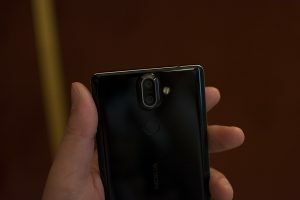 Nokia 7 Plus is gorgeous, especially at the front. 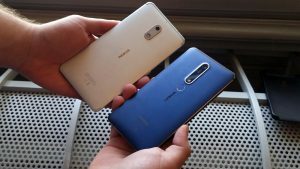 It is a bit larger than the old Nokia 6, but it is not extremely large phablet as once that category was. I love the dual design, with the ceramic back and aluminum frame in contrasting color. The price of €399 before taxes is ok for the device in this price segment. Big screen has favorable aspect ratio, Snapdragon 660 is speedy on the device and camera seems powerful enough. It is almost the same as on the Sirocco that belongs to higher price class, with the only difference in the aperture of the main camera (f/1.7 on Sirocco and 1.75 on 7 Plus). Both Sirocco and 7 Plus definitely don’t have optically stabilized, but rather digitally stabilized main cameras. When we get the final product for a review that will also be put to a test. 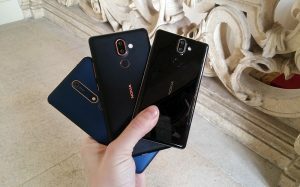 Nokia 6, or 6.1 as HMD calls it in the official documentation, got improved a lot. 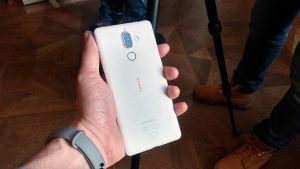 The design of the device is still the same and it emphasized robustness, but the device got ZEISS lenses, double tap to unlock, possibility to scroll the notifications over the fingerprint scanner, Bothie and pro camera. Also, I recommend highly the blue/gold edition. 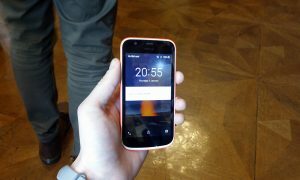 Nokia 1 is a real cutie. 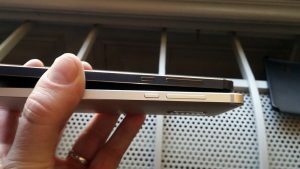 It is the cheapest phone in the presented lineup, but it is built to last. 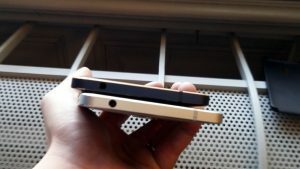 This phone should be a bridge that connects smartphones and feature phones and Android Go, or the Oreo Light should help a lot. 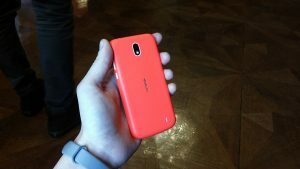 Nokia 1 will soon get new XpressOn covers with different printed patters that will enable you to change the looks of the device easily. 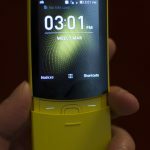 Nokia 8110 4G, or the Banana phone, surprised me with its looks. I must say that I expected the polycarbonate plastics to look more premium, as the original was, but the built quality is good. 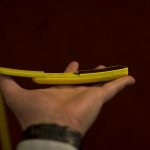 Sliding mechanism is sturdy enough and the ergonomics of the device is great. The screen is unfortunately protected with hardened plastics, so it will get some scratches with time. 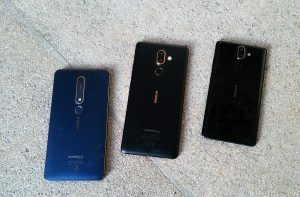 I was surprised to see that Nokia 6.1, Nokia 7 Plus and Nokia 8 Sirocco have double tap to unlock and super sensitive screen. I was able to use the screen with the top of the nail, and with fingers covered with sleeves. 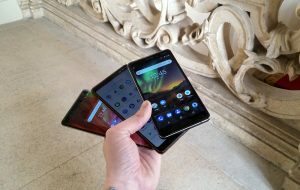 Screen sensitivity of the 6.1 was much better than at the old Nokia 6. Well, Stipe and I are thrilled about the devices even though there were some things we didn’t like so much. More details about the whole lineup we’ll share later on. There are many things we want to share with you.